You Call This a Compromise? As the Senate debates the health care bill put together by Majority Leader Reid, the scramble is on to come up with a new compromise regarding the public option--the public health insurance plan modeled after Medicare that will be offered within the new health insurance exchange to Americans who lack workplace health insurance (and to workers in small firms that decide to buy coverage through the exchange). The goal of the current effort is simple: to get sixty votes to overcome a filibuster and pass a bill. Four of the sixty Senators who caucus with the Democrats have expressed, with varying degrees of certainty and specificity, that they don’t like the public option in the current bill. 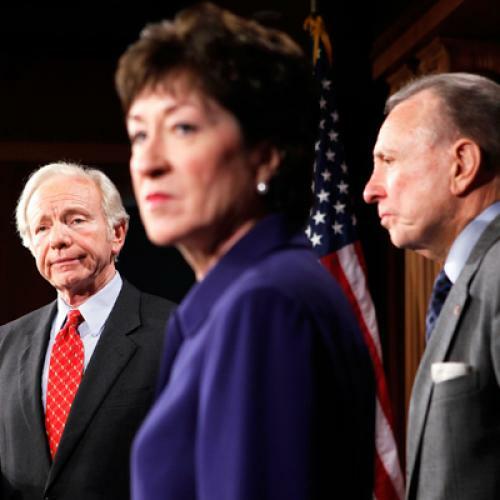 So the search is on for a compromise, any compromise, that will bring on these four, or allow one or two of them to be bypassed by picking up the support of Republican senators Olympia Snowe or Sue Collins. The public option in the Senate bill, it should be emphasized, is a compromise of a compromise already. The first compromise was to have the public plan negotiate its rates directly with providers, rather than set them based on Medicare’s rates. This compromise meant that the Congressional Budget Office was unlikely to score the public plan as producing the huge savings that it projected for a plan that used Medicare-based rates. Whether CBO was right in discounting the negotiated-rate plan’s savings is another matter--as I have written on this site, it’s likely underestimating the cost-containment potential--but the CBO’s numbers rule on Capitol Hill. The second compromise was to allow states that did not want to have the public plan operating within their borders to “opt out” with the passage of a state law. How many states will take advantage of this option is unclear, but it’s certain to reduce the impact of the public plan even further. Indeed, the CBO is now projecting—again, pessimistically in my view--that only a few million Americans will enroll in the public plan. Yet none of this has apparently appeased the handful of hold-outs. Emboldened by the White House’s lack of clarity and pressure on the issue, they are digging in their heels and spewing false claims about the public plan (for example, that it’s a budget buster when there are no special government subsidies for it and the CBO projects it will exert downward pressure on private premiums, thus lowering the price tag of reform). Hence the new push to find some kind of middle road. The problem is that the “middle-ground” ideas that are currently flying around aren’t in the middle at all. They represent abandonment of the public plan idea altogether. One proposal that is being floated, for example, is the chartering of a national nonprofit plan, similar to the “cooperatives” that Senator Kent Conrad has advocated. But the whole point of the public plan is to create a plan that is up and running quickly and constructed on the existing infrastructure of Medicare so that it can create competitive pressure for insurers and serve as a backup for consumers on day one. In 35 states, after all, the largest private insurer enrolls more than half of privately insured patients. Many of these plans are nonprofits already--the problem is that they don’t face a credible alternative. Another, even stranger idea is to offer the nonprofit plans available in the Federal Employees Health Benefit Plan (FEHBP) within the exchange. Since the FEHBP is itself a form of exchange, this amounts to offering a new set of private plans within a new set of private plans. How is that going to provide real pressure on private insurers in a consolidated insurance market in which nonprofit plans already have a large presence (and often act little differently from for-profit plans)? In short, the new compromise proposals are anything but. They represent calls for advocates of the public plan to eat their crumbs and be happy. But a majority of Senators support the public plan. At least two--Senator Bernie Sanders, an independent from Vermont and Senator Burris of Illinois--have said having a real public plan in the legislation is a precondition for their support. Those who believe in the public plan—and, more important, who believe in the principle it embodies: that no American who lacks access to good insurance should be forced to buy coverage from the private plans that got us into our present mess--should stand firm in the face of these non-compromises. This includes President Obama. He made the public plan part of his promise of change in 2008. Now he needs to put his weight and influence behind the public plan and its essential goals, rather than allow them to be gutted. This is in our nation’s interest. It is also in his and his party’s political interest. A bill that forces people to take private insurance but doesn’t create competition or a public benchmark is a prescription for unaffordable coverage, runaway costs, and political backlash. The “middle ground” is nowhere to stand if it’s going to crumble beneath you. Update: Timothy Jost isn't too happy about this idea, either.